I have to be honest, but I hadn’t heard of Inwolves before. This project seems to be an outfit of Karen Willems, whom you might know from her collaboration and inwolvement, sorry, involvement with e.g. Dirk Serries, Zita Swoon and Yuko. And apparently there was an album before under this moniker, released in early 2014 (Air+), both as digital download and on vinyl. The lady now returns with the Consouling Sounds release Involves, a seven-tracker that was recorded at the Oemtata Studio with engineer / mixer Bart Vincent behind the desk. This time, Karen was assisted on several instruments by Ward Dupan and Jürgen De Blonde, and the mastering was done at the famous Electric Blue Studio by Brian Wenckebach (not a stranger to this great Flemish label, for his inwolv… involvement with e.g. Jozef Van Wissem, Charnia or Noveller, amongst others). Involves, which clocks just over half an hour, is not a ‘usual’ recording, but hey, aren’t they on Consouling Sounds (indeed, that says a lot). The album brings a multiple-faced approach on Aural Art, which gets defined through quite different yet organically cohesive compositions. The short introduction I Va Vimedoom, for example, is like a mixture of esoteric Drone, cinematic Ambient and bombastic orchestrations, canalised into a quite weird yet warm-dynamic ear-experience. Minimal is completely different in execution, mingling cosmic electronics, psychedelic, semi-funky rhythms and tribal soundwaves. This weird yet, at the same time, trusted mixture of Sonic Psychedelica, reappears throughout the better part of the album, being the spine of quite a mind-tripping and ominous aural journey. I’d like to steal comparisons like ‘dynamic sound-painting’ or ‘recycling of analogue electronics’ from the bio, or the relationships ‘light and darkness, rhythm and texture, silence and movement’. For sure it does say a lot. 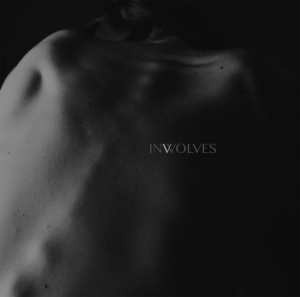 Inwolves perform a new wave of post-electronic Aural Art, trespassing the known (and safe) borders of the universal randomness. Karen’s vision swims against the stream in order to reinvent tradition and to transform it, sonically, into new forms of sound escapism. And whether it turns towards noisy frenzy, then again inherent-natural tranquillity, it never leaves the path of ingenious creativity.